How to Prepare for HSSC Group D 2018? 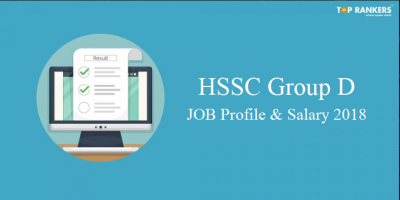 HSSC has announced 18,218 posts under Recruitment HSSC Group D category. The exam dates for HSSC Group D have neared finally. HSSC Group D exams shall be conducted on 10th, 11th, 17th and 18th of November 2018. Find HSSC Group D Preparation Tips in this article. The HSSC Group D Exam is almost here. At this moment, you must follow some Last minute tips to get set for the exam. But, before going through the HSSC Group D Preparation Tips, let us have a quick look at the HSSC Exam Pattern. The selection process for HSSC Group D Recruitment 2018 has 2 stages: Written Exam and Socio-economic criteria and experience. We are also going to conduct a HSSC Group D Paper Analysis for All days and All Slots. As our new initiative to extend out help through analysis to more and more students, we have launched our WhatsApp Number. You all are requested to share your exam reviews and questions asked through this number. Your contribution shall be highly acknowledged. The following given HSSC Group D Preparation Tips can help you draw an outline to your last minute strategies for facing the exam. First thing first. You need to know the exam very well. Go through the previous years papers and get a fair idea about the #HSSC_exam pattern and what type of questions are asked in the exam. This will reduce the redundancy of topics for you and you’ll have ample time to focus on things which matter. Okay, this is something which a lot of candidates neglect. You at least need to know how much you need to score to clear the exam. 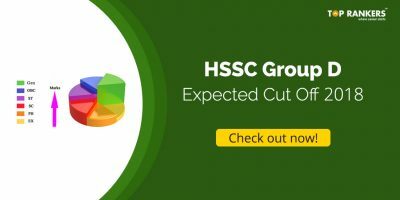 For that, you should check the pattern of the HSSC previous years’ cut off. Aim to score at least a little higher than the previous year’s cut-off in Mock Tests and other tests you attempt to evaluate yourselves. You need the speed and timing to be spot on. Candidates need to attempt 100 questions in 120 minutes. So, you can see why I said this. You can do this by starting to practice with a timer on. You cannot develop it overnight. It needs a lot of practice. So start your stopwatch every time you start practicing for HSSC Online Test. You need to take a note of your strength and weaknesses in every section. Some people are good at Maths and some at English, while others might be good at Reasoning. Since you need to score well in every section to attain a final decent score, you need to focus on each and every sections equally. Give more time to the sections you are weak at but do not leave the sections you are good at. Also, make sure you give at least an hour to practice each section on a daily basis. Just when the exam is nearby, previous years papers can play the best companion. You have to get hold of more and more previous years question papers and try solving them out with a watch on the time. If you are unable to find much papers, then go for relative exam papers and keep solving. Not only that, identify the type of questions where you are getting stuck and give your best to cope up with the voids in preparation. A lot of them. Take as many mock tests as you can before the exam. HSSC Group D Mock Tests are prepared with the idea that candidates get familiar with the exam. The exam interface shouldn’t be strange for you on the day of the exam. Also, most importantly, you will get to evaluate yourself at every stage of your preparation. It is not possible for a student to go through each line of the notes or whole syllabus just before the exam. Therefore, keep your notes handy. Revise and jot down all important formula and tricks on a single page for quick reference. You handwritten mind maps can be the best revision tools before the exam. It will not only help you in your training but also be very crucial in your selection procedure. There is a lot of mental and physical test before your selection in the academy. So, start your training from today itself. Eat and healthy food and exercise daily. Start playing an outdoor sport daily. Sports are the best and most fun form of exercise. It makes your body and minds fit and healthy without making you feel tiresome. So, go out and play, devote at least one hour daily to any outdoor activity. 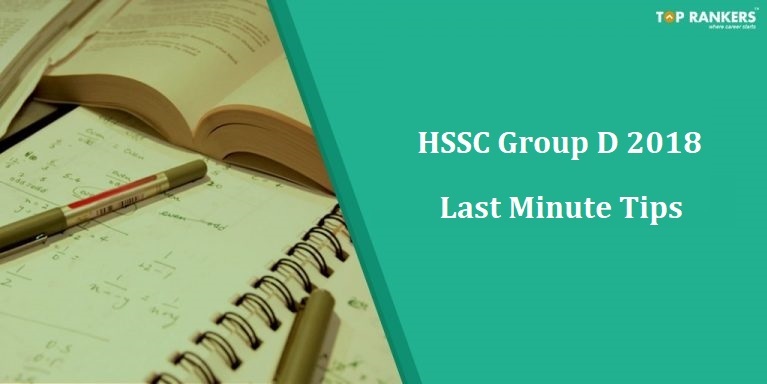 The #HSSC _Group D_exam_dates are 10th, 11th, 17th, 18th November 2018. 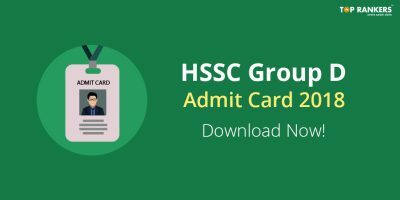 The HSSC Group D Admit Card expected to be released soon. Download it & carry it to the exam center. Another obligatory part which you just cannot ignore is discipline. So, if you aren’t someone who sleeps and wakes up on time, you need to change your habits from now on. Discipline will help you with your preparations as well. Making a few changes in your daily routine will give you enough time to prepare for your exam. So now that you know how much it takes to clear the HSSC Group D exam, take a note of all these points and start your preparations. Also, if you have any questions or suggestions for us, do write us in the comment section below. We would love to help you. For more such interesting updates like HSSC Group D Preparation tips, stay tuned. SBI PO Interview Tips – One Must know to Nail the Interview!